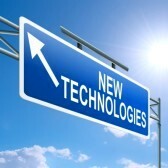 CALD Enterprise promotes international trade, business investment and development by developing global partnerships and use of Information and Communication Technologie's. 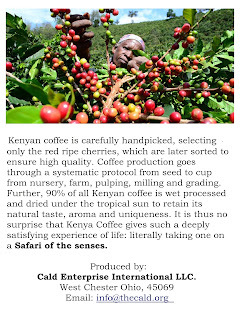 Our goal is to develop a global or international partnerships that will help smallholder coffee farmers in Kenya and Africa link with Coffee Research Institute's information and training center and credit unions through the existing coffee cooperative societies and factories using modern innovative Information and Communication Technologies (ICT's) that will enable flow of information and training on improved varieties, better growing practices, value addition and financial credit and as well set up a direct coffee exchange fair trade market portal to get a better price for coffee products. We recognize the importance and impact of the Kenyan coffee cooperative sub-sector on economic activity in terms of income generation, employment creation, foreign exchange earnings and tax revenue. Over the years, the economic performance of coffee has had repercussions on all spheres of life, both upstream affecting farm input suppliers and downstream the transport sector; on savings and investment intermediation; consumption of goods; and households’ ability to pay for education, health and other services. Even politics at all levels cannot ignore or be ignored by coffee, not least in the race for well-paying jobs, sinecures, and contracts in the various institutions that serve as gravy trains in the coffee sector cash cow. 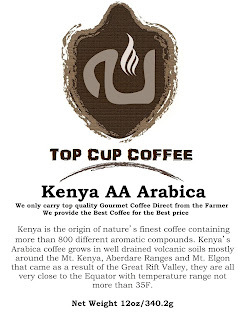 Today, the Kenyan coffee sub-sector is underperforming due to lack of creative and innovative ideas to share knowledge and information on best practices and access to reliable and direct Fairtrade markets, this is caused majority of family’s average household incomes to drop to the international poverty line and as well affecting education and health standards especially in the Kenyan coffee growing communities. The Kenyan coffee sub-sector is manifested in the decline of export earnings from US$500 million in the 1990's to less than US$ 150 million in 2015. This is attributable to low productivity of 2 Kg's per coffee tree against a potential of 30 Kg's per tree on average, uprooting of coffee trees, high cost of inputs especially fertilizer and pesticides, limited credit access and poor institutional governance weakness. Moreover, the existing laws that govern coffee value chain have not been realigned with the Constitution of Kenya 2010 and other laws. 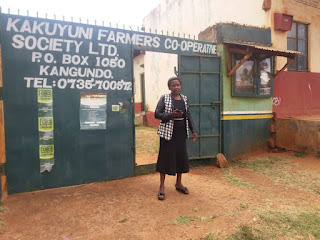 Coffee cooperatives societies/SACCO’s lack the modern technology information, communication and training structure that link farmers with best practices from research institutes through their cooperatives that will increase production, address climate change issues and add value. 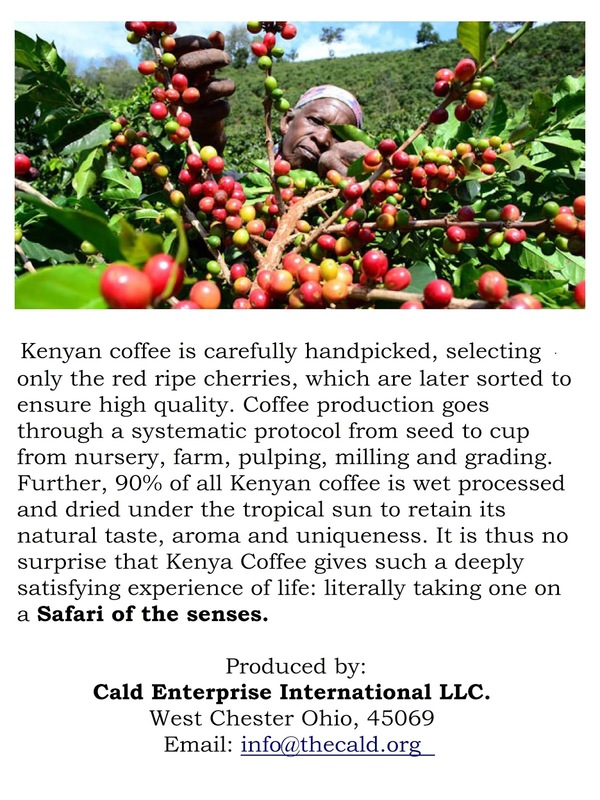 In Kenya, farmers are not allowed to market their coffee, and therefore do not know the opportunities in the market. Kenya has the natural advantage of winning in the specialty coffee segment, given the premium prices it attracts, the country has not invested in positioning itself in this segment. iii) Lack of Financial Inclusion – Majority of the coffee smallholder farmers living in rural Kenya where their farms are don’t have reliable access to the modern technology savings and credit services, they must travel to the nearest town or city to access them.